Lineage. 16 Ferrying Squadron (constituted 16 Air Corps Ferrying Squadron on 18 Feb 1942; activated on 16 Apr 1942; redesignated 16 Ferrying Squadron on 12 May 1943; disbanded on 1 Apr 1944; reconstituted on 19 Sep 1985) consolidated (19 Sep 1985) with the 16 Combat Cargo Squadron (constituted on 9 Jun 1944; activated on 13 Jun 1944; inactivated on 29 Dec 1945; disbanded on 8 Oct 1948; reconstituted on 19 Sep 1985) and the 16 Special Operations Squadron (constituted on 11 Oct 1968; activated on 30 Oct 1968). Assignments. Middle West Sector, Air Corps Ferrying Command (later, 5 Ferrying Group), 16 Apr 1942-1 Apr 1944. 4 Combat Cargo Group, 13 Jun 1944; Army Air Forces, India-Burma Theater, 5 Sep 1945; 4 Combat Cargo Group, c. Oct-29 Dec 1945. 8 Tactical Fighter Wing, 30 Oct 1968 (attached to 388 Tactical Fighter Wing, 19 Jul 1974-8 Dec 1975); Tactical Air Command, 8 Dec 1975; 1 Special Operations Wing, 12 Dec 1975; 1 Special Operations (later, 16 Operations; 1 Special Operations) Group, 22 Sep 1992-. Stations. Hensley Field, Grand Prairie, TX, 16 Apr 1942; Love Field, Dallas, TX, 8 Sep 1942-1 Apr 1944. Syracuse Army Air Base, NY, 13 Jun 1944; Bowman Field, KY, 16 Aug-9 Nov 1944; Sylhet, India, 7 Dec 1944; Argartala, India, 26 Dec 1944; Chittagong, India, 31 Jan 1945; Namponmao, Burma, 11 Jun 1945; Ledo, India, 3 Sep 1945; Namponmao, Burma, Oct 1945; Ondal, India, Nov-29 Dec 1945. Ubon RTAFB, Thailand, 30 Oct 1968; Korat RTAFB, Thailand, 19 Jul 1974; Eglin AF Aux Airfield #9 (Hurlburt Field), FL, 12 Dec 1975-. Aircraft. Unkn (ferried tactical and support aircraft), 1942-1944. C-47, 1944, 1945; C-46, 1944-1945. AC-130, 1968-1996; C-130, 1996-. Operations. Ferried aircraft from factories to units in US and Canada and conducted pilot training Apr 1942-Apr 1944. Combat aerial transportation from India to Burma and China, Dec 1944-Oct 1945. Combat in Southeast Asia, Nov 1968-Jul 1974; Grenada, 24 Oct-23 Nov 1983; Panama, 20 Dec 1989-14 Jan 1990; and Southwest Asia, Jan-27 May 1991. Participated in Operations Desert Shield/Desert Storm, 1990-1991. Campaign Streamers. World War II: India-Burma; Central Burma; China Offensive. Vietnam: Vietnam Air Offensive, Phase III; Vietnam Air Offensive, Phase IV; TET 69/Counteroffensive; Vietnam Summer-Fall, 1969; Vietnam Winter-Spring, 1970; Sanctuary Counteroffensive; Southwest Monsoon; Commando Hunt V; Commando Hunt VI; Commando Hunt VII; Vietnam Ceasefire. Southwest Asia: Defense of Saudi Arabia; Liberation and Defense of Kuwait. 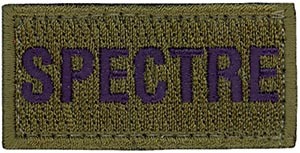 Armed Forces Expeditionary Streamers. Panama 1989-1990. Decorations. Presidential Unit Citations: (Southeast Asia), 1 Dec 1969-1 Mar 1970; 1 Jan-1 Apr 1971. Air Force Outstanding Unit Awards with Combat “V” Device: 1 Jan-31 Dec 1970; 1 Oct 1971-31 Mar 1972; 1 Apr-22 Oct 1972; 18 Dec 1972-15 Aug 1973; 15 Oct 1974-12 May 1975; 13-15 May 1975; 1 May 1982-30 Apr 1984;1 Jun 1997-31 May 1999; 1 Jul 2003-30 Jun 2005. Gallant Unit Citation: 6 Oct 2001-30 May 2003. Air Force Outstanding Unit Awards: 1 Jan 1976-31 Mar 1977; 15 Jul 1979-15 May 1980; 16 May 1980-30 Apr 1982; 1 May 1985-30 Apr 1987; 1 May 1988-30 Apr 1990; 16 Apr 1992-15 Apr 1994; 1 Jun 1995-31 May 1997; 1 Jul 1999-30 Jun 2001; 1 Jul 2001-30 Jun 2003; 1 Sep 2004-31 Aug 2006. Republic of Vietnam Gallantry Cross with Palm: 30 Oct 1968-28 Jan 1973.